The HubWayLDH8 from ALTRONIX is an Active UTP Transceiver Hub transmits UTP video, RS422/RS485 data and power over a single CAT-5 or higher structured cable. The HubWayLDH8 provides 8 camera channels in a space saving 1U EIA 19â rack mount chassis which may be rack, wall or shelf mounted.In HubWayLDH8 the video transmission ranges up to 3000 ft. max per channel. 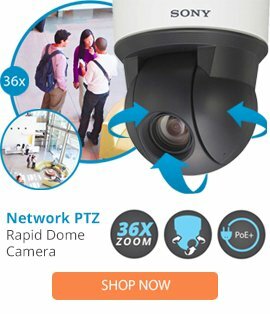 It is also compatible with fixed or PTZ cameras. An optional HubSat4/4D Passive UTP Transceiver Hub with Integral Camera Power can be used as an accessory module to transmit video from up to 4 cameras over a single CAT-5 or higher structured cable back to the HubWayLDH8.